Last week, I posted a pic of chocolate syrup that I made. Actually it ended up being so thick that I could no longer call it “syrup,” more like “topping.” It turned out wonderfully delicious. The only problem was that I used regular ArgoCorn Starch, in which corn products are GMO. This week, I tried a couple of new recipes that called for corn starch. 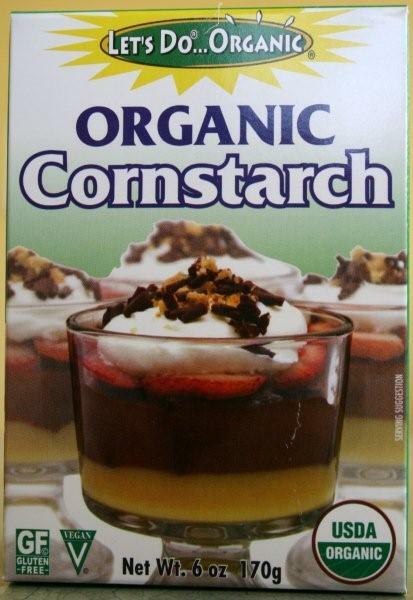 The picture attached to this post is the Organic Corn Starch that I used. Bad news…..neither recipes ever thickened. That was a cause of concern because I didn’t know if it was the recipes itself that would not thicken, or the brand of organic corn starch that I used. So I decided to give the organic corn starch a test by making the same chocolate topping that I made last week. Bad news…..it did not thicken at all!